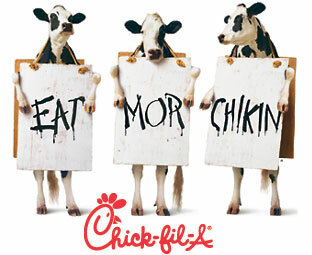 Chick-fil-A the one and only fast food chain that holds my heart. Too bad there isn't one here in the city I love. I have been having some serious cravings for their chicken sandwich lately loaded with polynesian sauce and of course the chickfila sauce the pickles on top well we can just compare those to cherries on top of my sundae. My parents are coming into town today and well as desperate and sad as it is.... yes I asked them to bring me some of that good ole sauce and of course a few chicken sandwiches to stick in the freezer! These are the things I miss from home... FOOD. How sad!